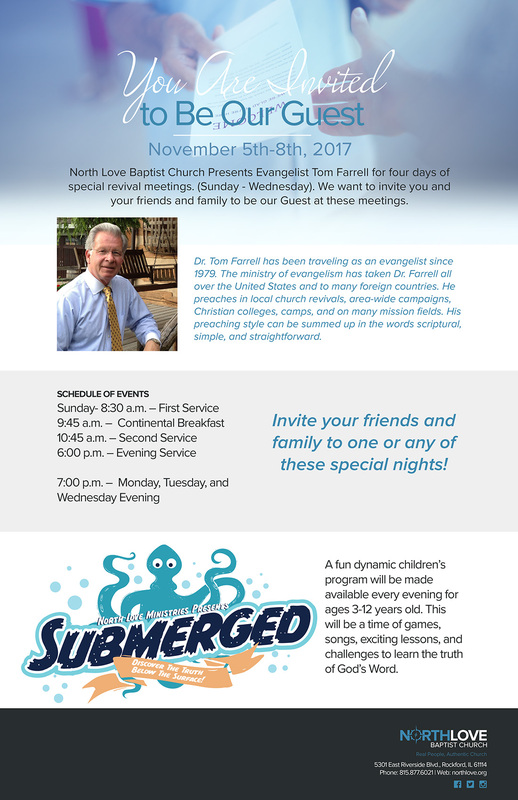 We would like to extend a personal invitation for you to visit North Love Baptist Church-a place where you can find God's love in a personal way. Our services are designed with the entire family in mind. We are committed to helping you know Christ and grow strong spiritually. God's Word has an answer for all of life's problems, and Jesus can meet your every need. From our Bible training classes for every age, excellent music program, exciting college and career ministry, dynamic youth and children's programs, quality nurseries, and a wide range of family oriented activities, you will sense a genuinely friendly atmosphere that reflects the love of our Lord Jesus Christ. We desire for you to experience the abundant life that comes only through knowing Jesus Christ as your personal Savior.